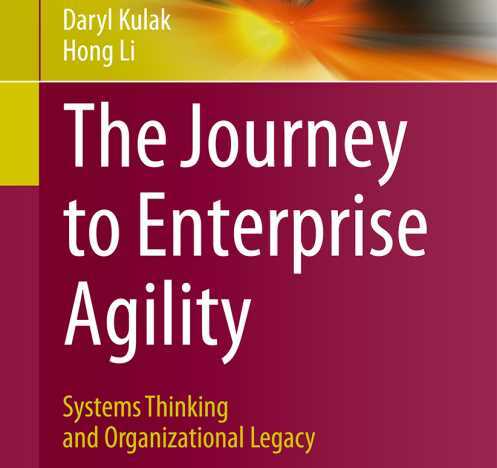 If the title of this book is a clear reference to the current trendy approach in software development, readers should be aware the that most important part is maybe in the subtitle “Systems Thinking and Organizational Legacy”. Not that Agile minds will be disappointed by reading it, but this book discusses the more important fact that from time to time software developers tries to adopt a new set of best practices and most of the time they fail. This lead to the conclusion: that there is more than “best practices” in software development success. Daryl Kulak and Hong Li also rightfully assess that most approaches can propose a set of best practices but offer few insight on how to transition to this nirvana status. The discussion of this issue is performed from various perspectives that extend from the links between system thinking and Buddhism to software CAPEX, project estimation or DevOps. It is an insightful source of both philosophical thoughts and pragmatic techniques. The human factor is however at the center of this book that is easy to read, mixing concepts with examples and stories. I recommend this book to everybody involved in software development that wants to enjoy an original perspective on software development and how we could improve it. In most cases, Agile coaches or consultants try to translate the Manifesto directly and immediately into practices. “Okay, great, that’s the Manifesto, but here is what you need to do.” But let’s hold back from that immediate translation. What if these Agile values can form our worldview instead? What if we can really take these into ourselves and allow them to penetrate how we see the world? We believe the originators of the Agile Manifesto meant for these values to be treated as a change to our worldview, and not just as instruction for different practices. In a flurry of methodologies, practices, team structures and manifestos, we often forget one factor – trust. If we don’t trust the members of our team, it doesn’t really matter what processes we use, we’re never going to be very good. And we’re never going to be fast. It’s amazing how much you can strip away in terms of documents and processes when you trust each other. People’s ability to innovate and creatively solve problems far exceeds any machine and always will. But if we organize our people using a machine structure (“your people structure must match your software architecture”) then you will never access their special abilities. In fact, they will be forced to act like a bunch of dumb machines. And then you’ll despair because they lack creativity. Servant leadership flips the pyramid to help corporations serve the customer and serve the employees who directly serve the customer. It takes a very difficult mind shift, but it’s worth it in terms of customer satisfaction and loyalty. The same servant leadership works for any IT department. The IT employees work with those business people day to day and try to help them. The IT managers need to have a servant leadership approach to ensure that the “frontline” employees have everything they need to give the customers the best service possible.